You can’t pass up the style and comfort that these Dansko booties have to offer. The Henley is crafted from 3M Scotchgard™ treated leather. This craftsmanship aids in stain and water resistance. The upper features a decorative strap with metallic buckle and a side zipper for easy on/off. 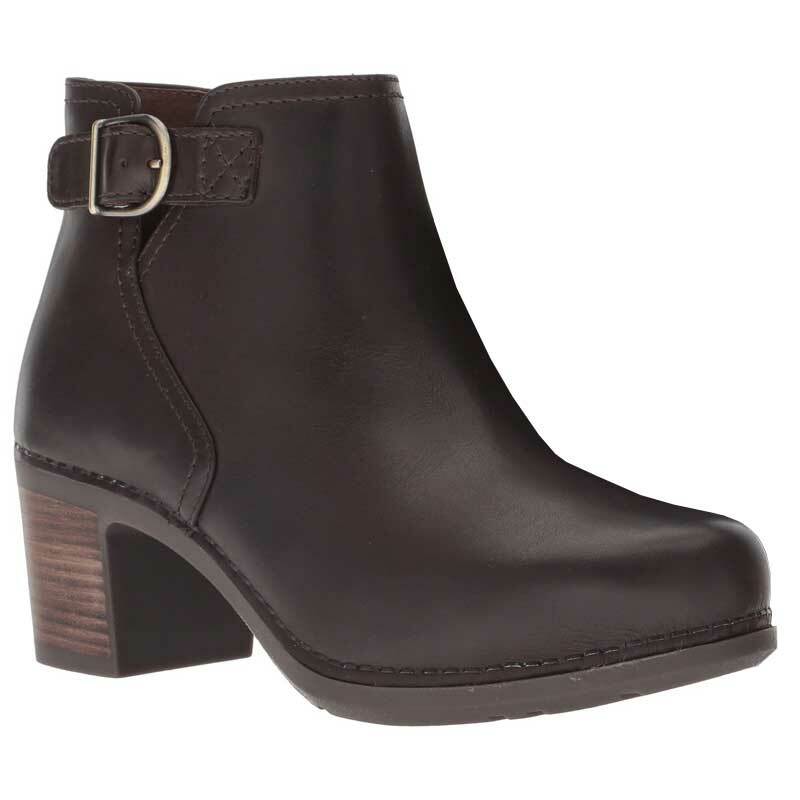 Inside, these booties have soft leather linings and a leather-wrapped PU footbed for all day comfort and support. You’ll get a boost in height with the 2 3/4" stacked heel but you’ll still feel stable thanks to the textured TR outsole. If you’re after good-looking comfort, the stylish Dansko Henley is a must.